An unnamed 31-year-old man was arrested early this morning in Petoskey, Michigan, while dressed as Batman and dangling from a rope on the side of a building. 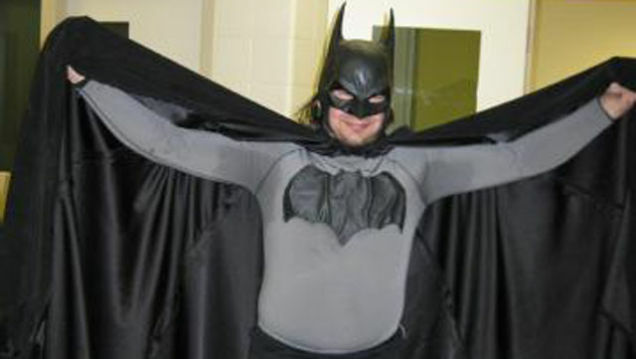 In his utility belt were some sort of baton, lead-lined gloves, and pepper spray. Well, pepper spray was always was the Joker's Achilles Heel. After the police pulled the caped crusader back up onto the roof he'd scaled down from, they arrested him for trespassing, possessing dangerous weapons, and not being nearly as good as Bruce Wayne. Robin was nowhere to be found.